Price: £2.15 (incl VAT) Sorry, this item is currently unavailable. Click here to receive notification when this product comes back into stock. 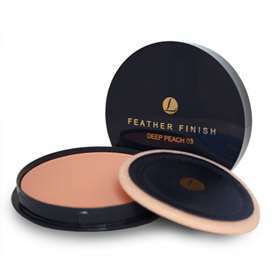 Shine-absorbing powder, for a smooth and natural coverage that lasts all day long. Contains Vitamin E and Camellia Oil for enhanced protection and skin care. Supplied in a handy twist lid refill with sponge applicator. Enhanced with Vitamin E and Camellia Oil. Talc, Calcium Carbonate, Zinc Stearate, Paraffinum Liquidum (mineral oil), isopropyl Palmitate, Lanolin, Ricinus Communus (Castor oil), PEG-30 Lanolin, Cetearyl Alcohol, Oleyl Alcohol, Parfum, (fragrance), Camellia Sinensis, (camellia Oil), Tocopheryl Acetate, PEG-75 Lanolin, p-Chloro-m-cresol, Methylparaben, Propylparaben, Limonene, Linalool, Hydroxycitronellal, Benzyl Benzoate, Citronellol, Coumarin, Geranoil, Alpha-Isomethyl Ionone Amyl Cinnamal, Benzyl Salicylate, Evernia Furfuracea (Tree Moss)Extract, Eugenol, Benzyl Alcohol, Citral CI 77491 CI 77492, CI77499 (Iron Oxides), CI77891 (Titanium Dioxide). Product code: 2638302 Price: £2.15 (incl VAT) Sorry, this item is currently unavailable. Click here to receive notification when this product comes back into stock.